Maybelline has tied-up with Infosys to create, test and deploy a new optimised website for mobile devices. Cosmetics maker Maybelline has tied-up with India’s second largest software services firm Infosys to create, test and deploy a new optimised website for mobile devices. No financial details of the deal were disclosed. The website will deliver the latest promotions for new products, tutorial videos and make up tips to Maybelline users, Infosys said in a statement, adding that it will also allow easy browsing of products from Maybelline. “We were impressed by the strength of their proposal and quality of work, knowing that the specifications included complex and demanding criteria,” Maybelline and L’Oreal Paris (Consumer Product Goods Division) Digital Head South Asia Visna Lim said. 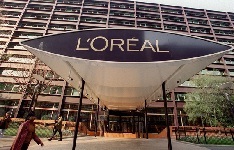 The 105-year L’Oreal, which operates the Maybelline brand, has a portfolio of 28 international brands with sales of 23 billion euros in 2013 and employs 77,500 people globally. “The mobile web development programme will enable Maybelline to take advantage of the rapid growth of mobile Internet in Asia by reaching out to its end consumers effectively,” the statement said. Citing various research data, it said the percentage of Internet traffic in Asia has risen from 23 per cent to 37 per cent on mobile devices in the last year, well above the global average of 25 per cent. The website is aimed at audiences in Hong Kong, India, Indonesia, Malaysia, Philippines, South Korea, Taiwan, Thailand and Vietnam. How Puma India grew online sales by 6X over one year?